The Best Fish Algae Eaters in Freshwater Aquarium: Siamese Algae Eater (SAE) – Siamese Algae Eater is a fish which act as fish cleaners on your tank either algae or MOSS. Fish SAE it comes not without reason, surely Aquascape has a fertile plant with good lighting becomes a major source of plants in the Aquarium photosynthetic and grow. This fish can sometimes also be cleaner on the glass of the Aquarium you are clouded by a variety of algae and MOSS that can interfere with the beauty of your Aquascape. 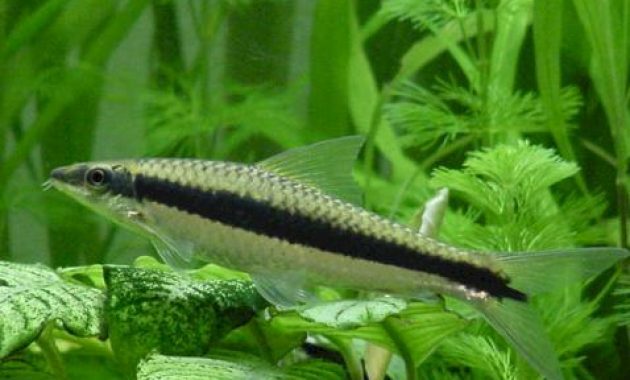 SAE or the length of the name of a fish Siamese Algae Eater is a more aggressive role in getting rid of your aquarium from algae and MOSS that covers your Aquascape. 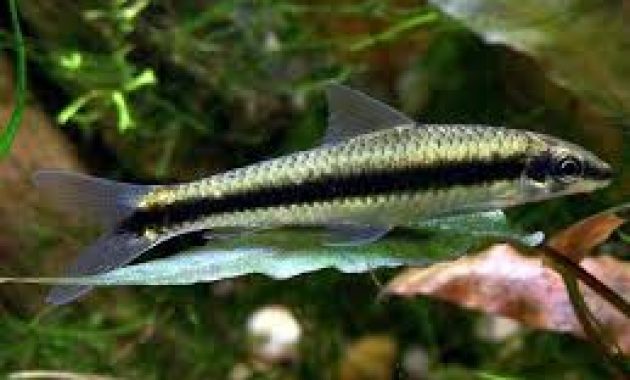 This fish is famous as Algae Eaters are greedy because fish is also often eat feed fish in General. Siamese Algae Eater rated quite effective to eat algae threads and Black Brush Algae that is often overlooked by other Algae Eaters. SAE also known to frequently eat or flatworm planaria can be a serious threat in the Aquarium. Other articles you can read here. SAE can be territorial with little of the same species, it’s good if you want to use fish on this one, keep at least 5 or more tails in a large Aquarium size. Unlike the Chinese Algae Eater (CAE), CAE will tend to stop eating algae as they grow to be large, while the SAE will eat more algae than CAE while growing into a big one. CAE also can be aggressive and often interfere with other types of fish. The size of the Aquarium used the SAE for a pair of adults which is around 100 liters or 25 gallons. The Aquarium should be long and must have lots of plant life. Why is it so? This is because in order for the SAE can feel comfortable with the place of residence. SAE is an omnivore fish, and you don’t have to worry because the fish is not very problematic in terms of food. SAE is a very strong fish, easily maintained and easily fed. If algae is up, you can give food such as flake, pellet ,food life, vegetables and more. SAE quite diligent in cleaning algae from plant. Please note, do not let them run out of algae or food, if not moss you will made bald because made snacks. These fish also has the unique ability that is sometimes likes jumping to the fore. Such information about The Best Fish Algae Eaters in Freshwater Aquarium: Siamese Algae Eater (SAE). Hopefully this information can be useful for you.